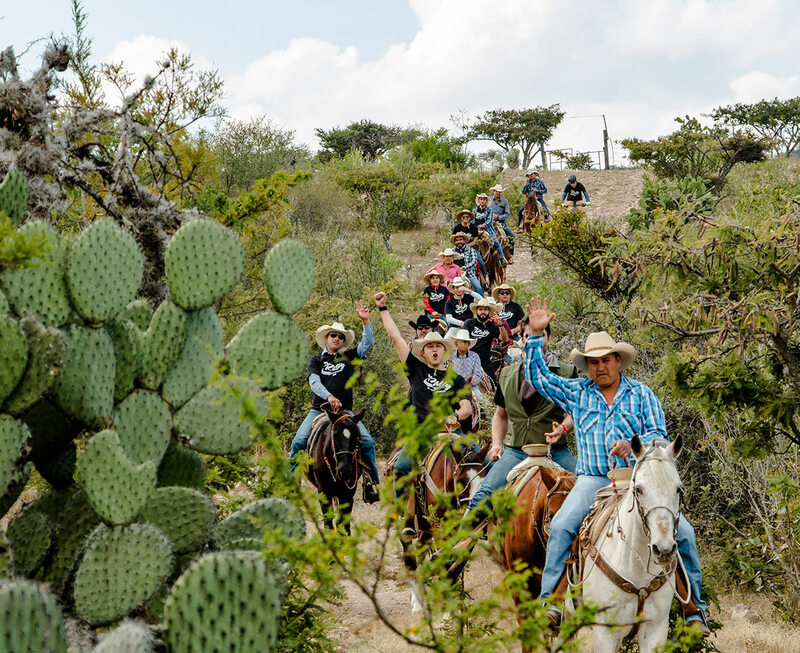 Rancho Xotolar is a family operated “working ranch” that has been in the Morin Ruiz family for over four generations. Our expert knowledge of horses and livestock will ensure that your visit is safe and comfortable. 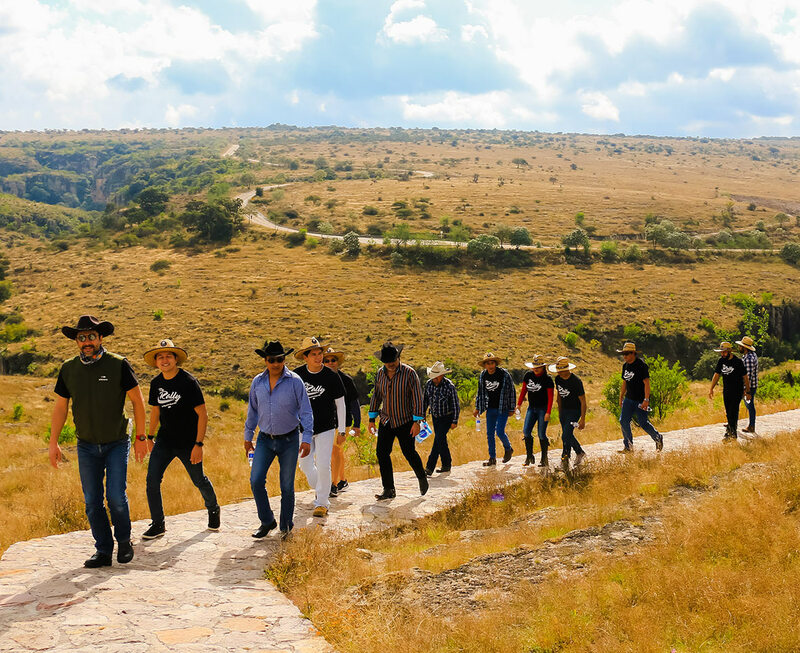 We are located only a short distance from San Miguel de Allende on the high plateau overlooking the city among natural surroundings and breathtaking views. 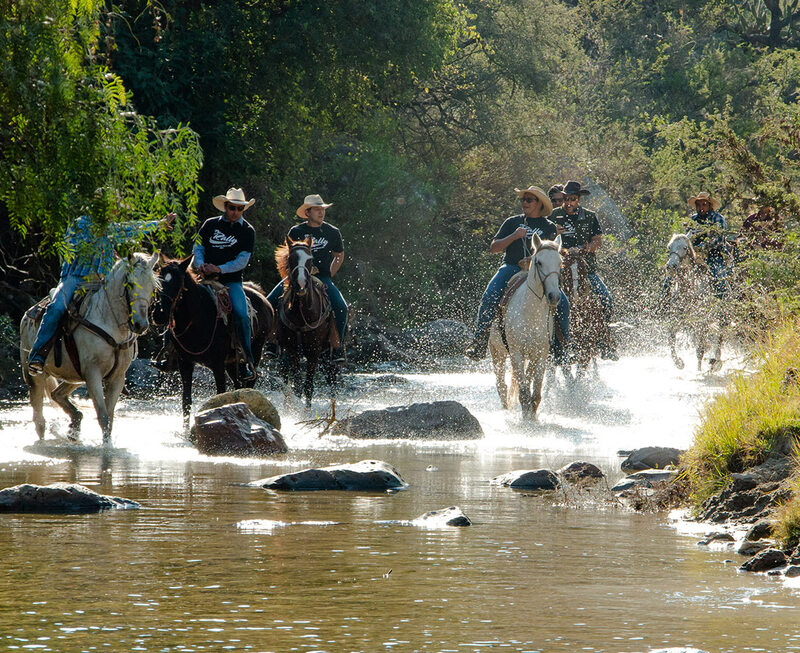 We can accommodate groups, large and small for day rides, half-day rides, camping, hiking, and visits to the surrounding natural sites. We look forward to making your visit both memorable and enjoyable. 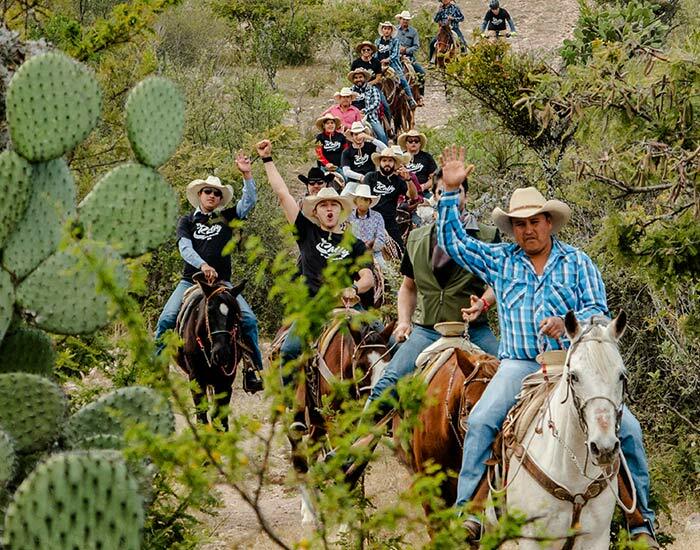 5.5 hours including; Round trip transportation from San Miguel de Allende. Introduction to rural life (milking cow, learning part of the process of traditional cheese). 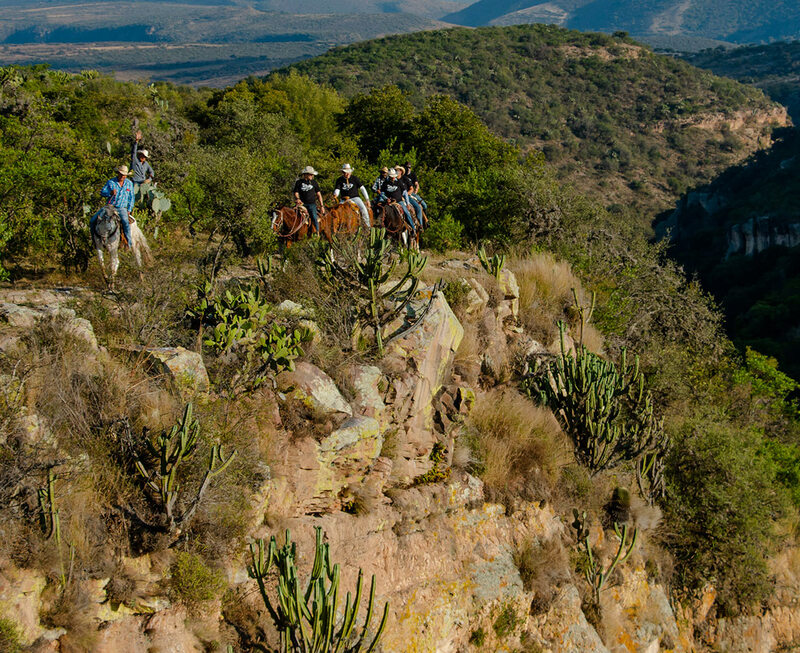 Horseback riding 3 hours through nature environment, with views that will steal your breath. Traditional food and some drinks after riding. 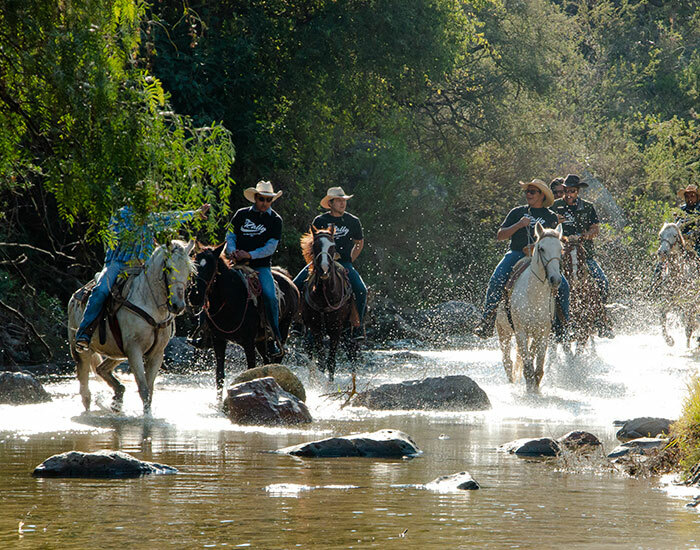 2) FULL DAY HORSEBACK RIDING EXCURSION / ADVENTURE. 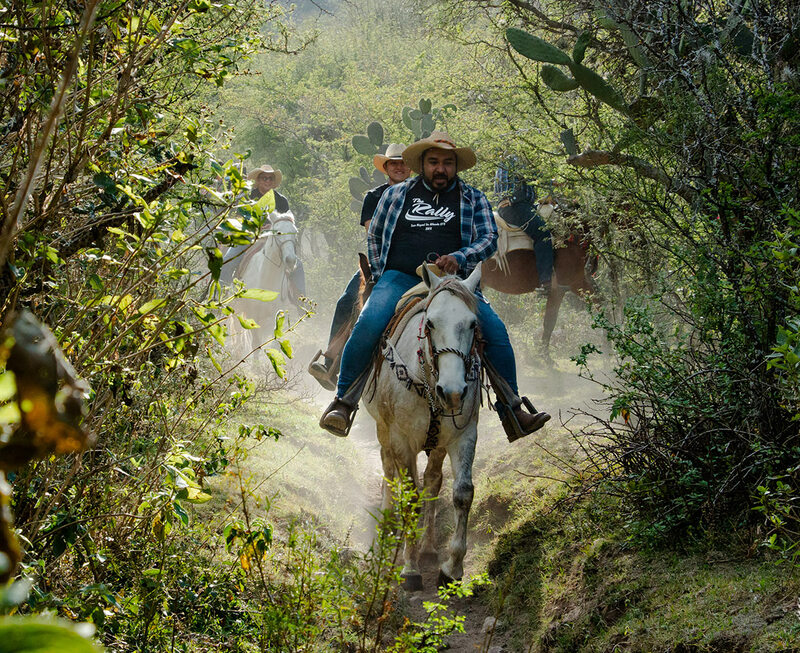 Guided horseback ride 6hours, through nature environment routes, other ranches and communities. 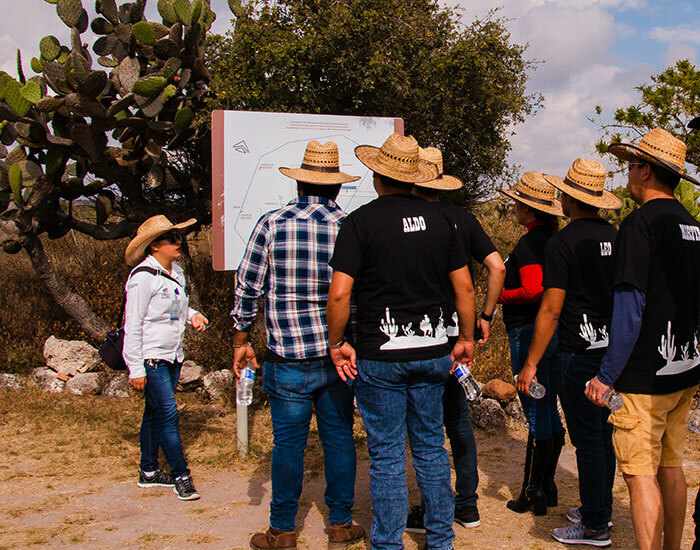 Traditional ranch-style food, campfire and drinks in the middle of the excursion. 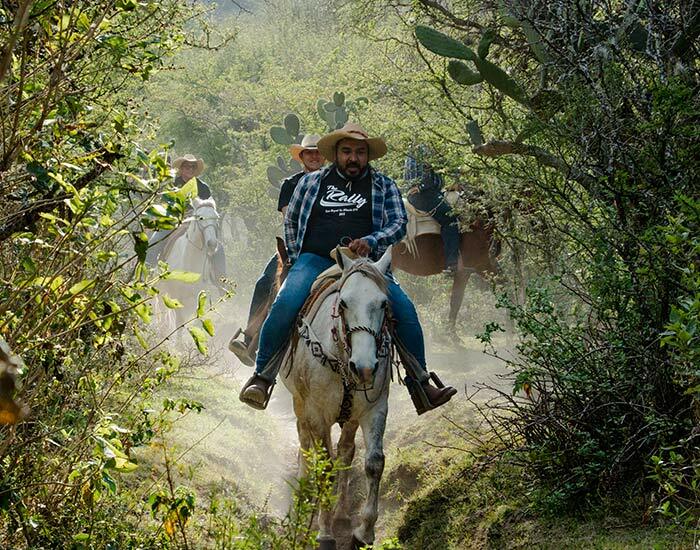 3) COMBO GUIDED Excursion / Adventure in English to the pyramids of Cañada de la Virgen and Horseback Riding. 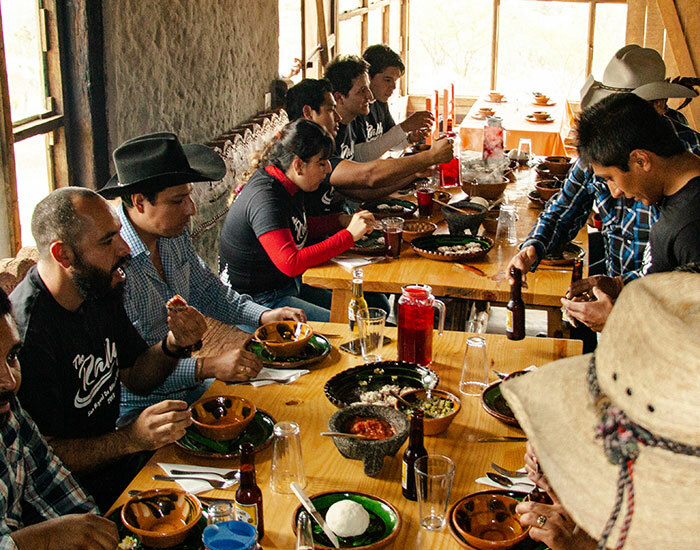 Traditional food and some drinks to the 1pm in RANCHO XOTOLAR. 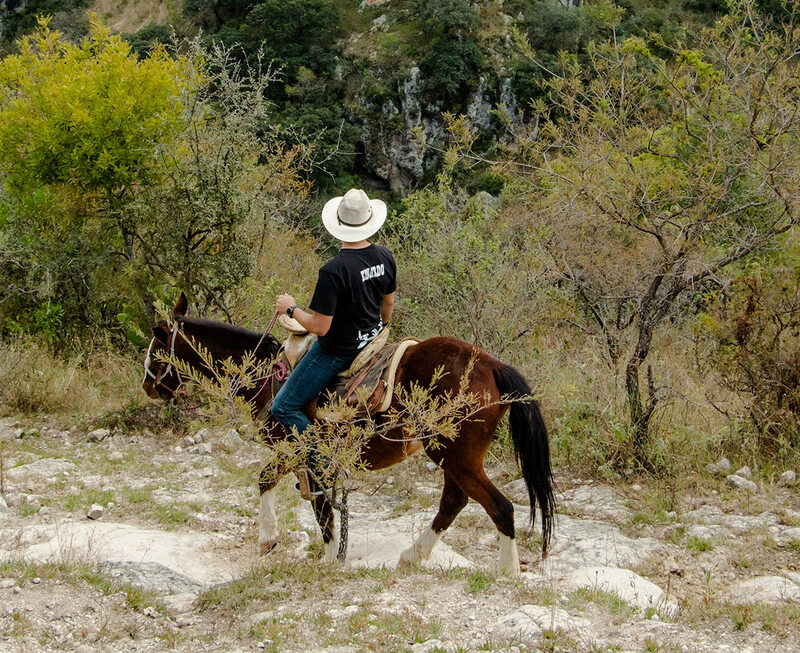 Guided horseback riding through the cañadas and natural landscapes, during 3hours. 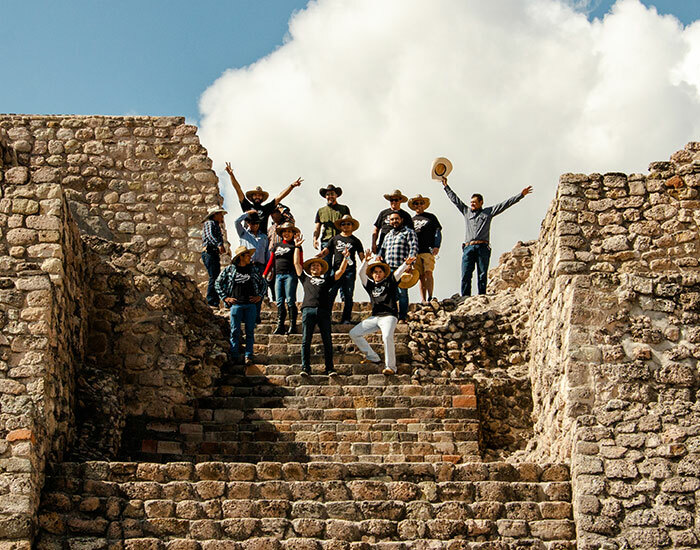 24 hours Including; Round trip transportation from San Miguel de Allende. 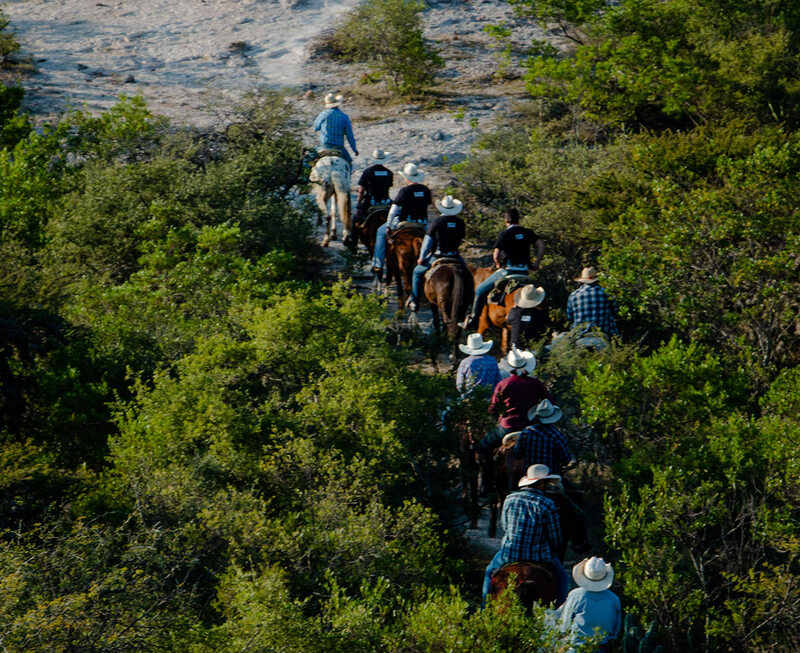 Guided horseback riding through, natural routes and through other ranches and communities. All camping gear are including. 3 meals (lunch, dinner and breakfast) with some drinks. Hiking accompanied by a native guide, along natural trails offering spectacular views. 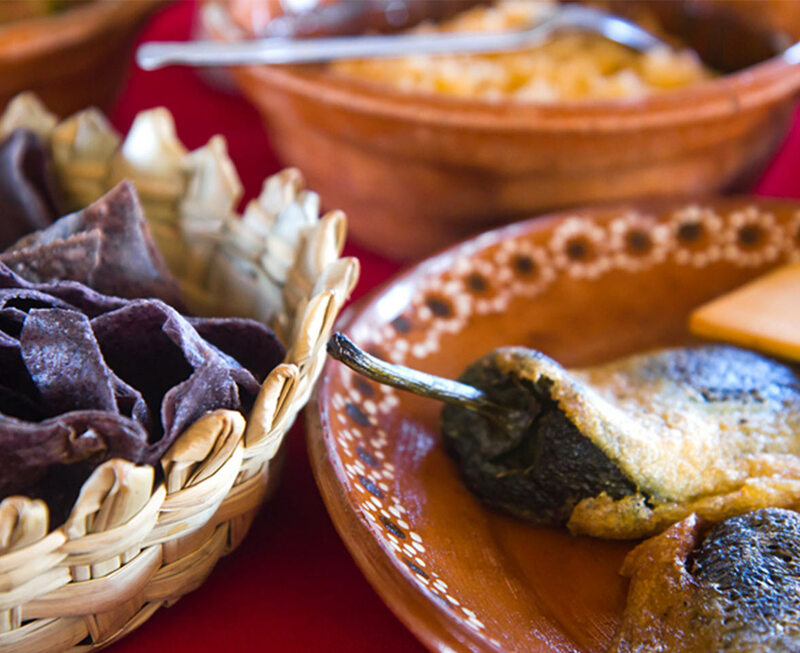 Traditional food in Rancho Xotolar and some drinks. Transport from and to SMA. Departure from the hotel: 9:00am or 3:00pm. 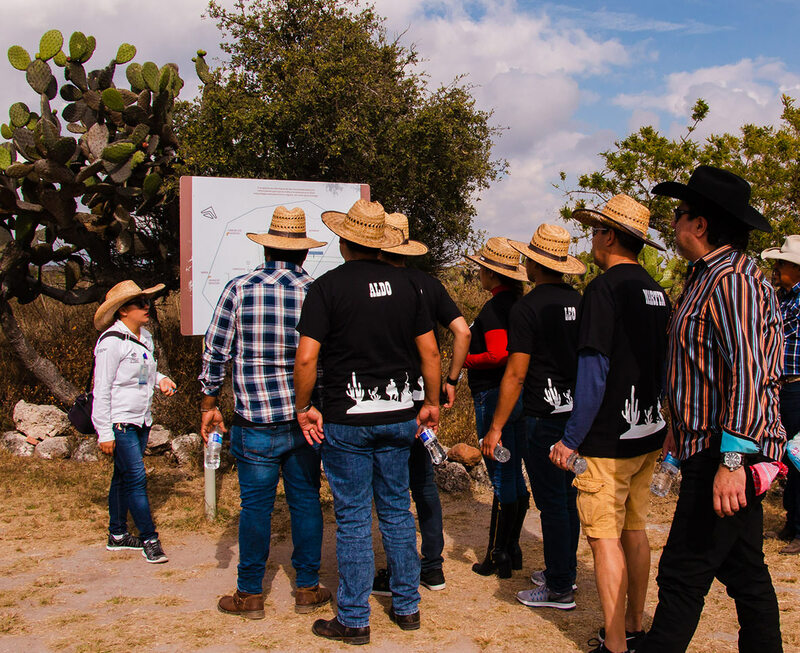 When you get to the ranch, learn about some ingredients grown on the ranch, according to season. Tradicional ranch style meal whit some drinks, that you already cocked. 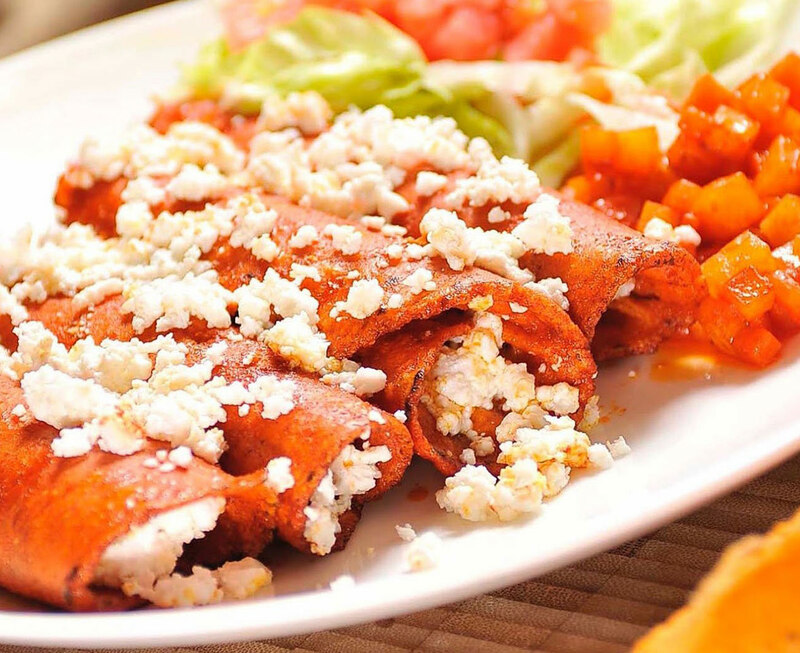 According to the season, a surprise; like quesadilla de Huitlacoche, Pumpkin flowers quesadillas, pico de gallo made with xoconostle.